On December 25, 2006 the Tigray People Liberation Front (TPLF)-led Ethiopian regime launched a military campaign in neighboring Somalia, alleging that its “sovereignty” was threatened by the Union of Islamic Courts (UIC). Having driven out the UIC from Mogadishu, the TPLF forces in collaboration with the Transitional Federal Government (TFG) of Somalia, has now shifted its mission towards fulfilling its main agenda of ethnic cleansing. The International Oromo Youth Association (IOYA) is deeply dismayed by the series of harassment, illegal detention, kidnapping, lynching, and cold-blooded murder of Oromo refugees in Somalia by the Ethiopian and Somalia TFG joint military forces. The Oromo people, the largest ethno-national group in Ethiopia, have been deprived of their basic human rights under successive Ethiopian regimes. In spite of their contribution to the country’s socio-economic development, the Oromo people have been marginalized from participating in the social, economic, and political decision-making process. Because of their continued demand for self-determination, freedom, justice and equality, Oromos have become major targets for the authoritarian Ethiopian government. Just like its predecessors, the current TPLF minority regime led by Meles Zenawi has committed endless acts of state-sponsored terrorism against Oromo civilians, professionals, students and political dissidents. Ethiopia and Somalia fought two border wars, in 1964 and 1977. During these two wars, Oromo’s were caught in the middle of the war waged by two dictators: Ziad Barre of Somalia and Mengistu Hailemariam of Ethiopia. Oromos comprise a significant proportion of Ethiopia’s conscripts soldiers that fought during the Ethio-Somali wars. 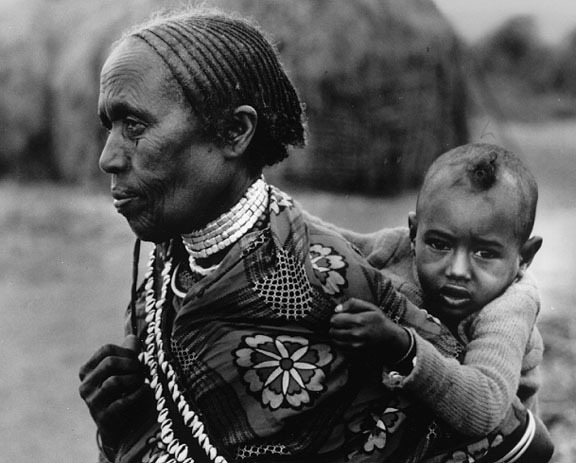 Due to the geographical proximity of Oromia and Somalia, the 1977 war caused a humanitarian crisis including death of civilians, internal displacement and immigration to neighboring countries. Thousands of Oromos fled to Kenya and Somalia and many lost their lives on the way and thousands never returned to their homeland. for as long as three decades. Over the last decade TPLF has been meddling in Somali internal affairs to unleash its crime against Oromo refugees. Oromo refugees in Somalia suspected of being members and sympathizers of the Oromo Liberation Front (OLF) have been kidnapped or killed by TPLF militia and its security forces. For instance, a prominent Oromo elder Mullis Abbaa Gadaa was murdered in Somalia in 2000. The regime which considers Somali as its own province has been engaged in instigating intern clan conflict among Somalis. It has funded and organized criminal warlords that deprived the people of Somalia peace and instability. In collaboration with his puppet warlords Zenawi was able to make life miserable for Oromo refugees in Somalia. Since the Ethiopian-backed TFG controlled the capital of Somalia, the allied forces are engaged in a house-to-house hunt for Oromo nationals in Mogadishu and its environs. We are deeply saddened by the news of increasing cold-blooded murders of unaccounted number of Oromos in Somalia, illegal detention of over 44 people and kidnapping of many others. In the past week alone, the body of an Oromo man killed by the allied Ethiopia- TFG militia was found dumped in the street of Mogadishu and another young Oromo in Jowar was also murdered by lynching. As reports from the area clearly indicate, the victims have no wrongdoing other than being born Oromo, for which they had previously fled their home country. Over the last decade and a half, similar incidents are taking place where Oromo nationals in various refugee camps of neighboring countries are facing mass deportation, imprisonment and torture. In response to this, IOYA hereby calls upon all freedom loving individuals, international communities, human rights groups and East African countries to save our brothers and sisters from inhumane treatment in the hands of TPLF soldiers and their TFG allies in refugee camps. We believe that international organizations and the international community as a whole have a moral responsibility to stop these acts of ethnic cleansing that is directed at the Oromo people. A failure to act upon such critical issue would be a gross oversight by the international community. The Ethiopian authority of raiding Oromo refuges in Somalia is in direct defiance of international agreements that protect the right of the refuges. We would also like to appeal to the Somali people to stop handing over Oromo nationals to TPLF thugs, since these Oromo men and women have lived in Somalia for many years in harmony with Somalis. It should also be noted that such acts of ethnic profiling would only endanger our long history of coexistence. It was very evident from the beginning of the recent war between Ethiopia and Somalia, that the Ethiopian government’s allegation that opposition parties from the Oromo are fighting alongside the Islamic militias was a pretext for its ethnic cleansing scheme. These acts expose the primary mission of the minority-led Ethiopia’s troop in Somalia-which is to broaden its persecution of Oromo nationals throughout the horn of Africa. We condemn in the strongest of terms this barbaric and inhumane targeting of innocent Oromo nationals in Somalia by the TFG and its Ethiopian ally. • We urge the TFG to honor its obligation under international laws by providing protection to Oromo refugees under its administration and to release all Oromo prisoners without any preconditions. • We urge the United States, which is backing Ethiopia and TFG militias, and UNHCR to pressure the TFG to promptly initiate an independent investigation of the attacks and help bring those responsible to justice as well as to intervene and secure the release of all detainees. Oromo nationals in Somalia by the Ethiopian government and TFG militias. • We call on all Somalis to raise their voice, regarding this unjust move on the part of the Somali government and to show their solidarity with the Oromo nationals who have lived in their midst. Africa region and the world to play a positive role in alleviating the suffering of the Oromo people in Somalia and the Horn region at large. Justice for Oromo people, Justice for All! !